All are invited to attend the East End Baptist Church Fellowship’s Holy Week Services at St. Paul Baptist Church, 6701 Penn Avenue in East Liberty on Monday, April 15 through Friday, April 19, 7PM each night. Wednesday is Mount Ararat night! Spread the Word – we look forward to worshipping with you each night that week! Our Next Level Small Cell Groups are the DNA of Mount Ararat Baptist Church! These small Bible Study Groups accommodate individuals of all ages: There are Cell Groups for Adults, Young Adults, Men between the ages of 20-39, Seniors and Single Women on Tuesdays at 6:00PM – Register today! Call 412-441-1800 Ext. 0 or Visit the Front Office. Our Communications Department & Media Ministry proudly unveil a new feature! 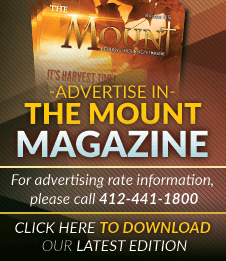 You can now purchase and pre-order sermons through Mount Ararat’s website! 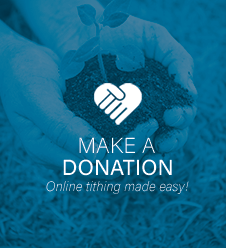 No more waiting in line - Just click “Get It Now” under the sermon you'd like to purchase. After completing the easy checkout steps, you'll received an access link in your email to watch the sermon of your choice! … it’s that easy! 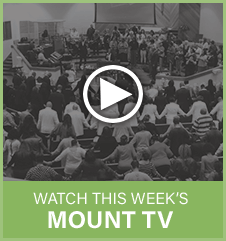 Visit Mt-Ararat.org and click Purchase a Sermon – Today! 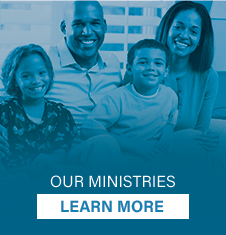 Mount Ararat Baptist Church has upgraded their app and it's now available in the App Store and Google Play Store! Our app includes improved Push Notification functionality. After installing the new app, please delete the old app from your device. Join Us for The Mount Xperience: Study & Conversations with Pastor Curtis! .. once month at 6:30pm right here at the Mount. Dinner will be provided at 5:30pm in the Fellowship Hall. Here’s a listing of the upcoming dates. Mark your calendars: February 27, March 27, April 10, May 22, June 26, July 10, September 4, October 9, November 20, and December 18.